In Britain walnuts tend to be just for Christmas or for cake decoration. For too long we have been a nation of Basil Fawltys, baffled by the notion of a Waldorf salad. These versatile nuts are a nutritious and delicious source of protein that can liven up many starters or main courses. 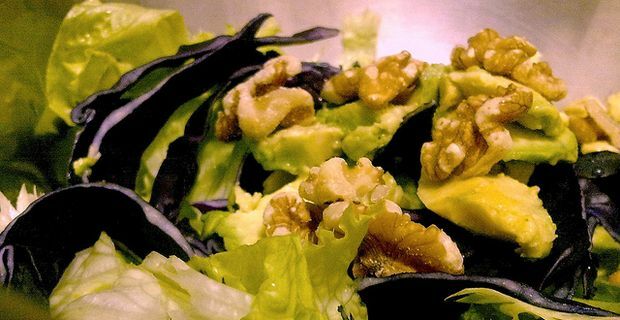 Walnuts add crunch and flavour to salads, and have a natural affinity with crisp cabbage and earthy beetroot. For an impressive show-stopping salad with an Italian influence, combine walnuts with romaine lettuce, grated gorgonzola and a little fruit, either sliced grapes or thinly-sliced pear. With a generous dressing of black pepper, balsamic vinegar and walnut oil, this is a salad with zing. For a more substantial main-course salad for autumn evenings, combine chopped walnuts with cold chicken breast, mixed green and red leaves, diced celery, olive oil and black pepper. This is a filling salad with a host of complex flavours. For a sweet summer salad, apples and walnuts make a great team. Combine crisp and slightly sharp apples with chopped walnuts and spinach or rocket leaves. Dress with cider vinegar, pepper and a little honey. Coffee walnut cake is a baking cliché for a good reason. The main ingredients complement each other brilliantly. Add a little chopped walnut to the cake batter to make the cake a little crunchier, and decorate the iced top with carefully-arranged walnut halves. People might call it predictable, but they will still come back for a second slice.